A seminar on Texas and Gillespie County history during the American Civil War sponsored by the Gillespie County Historical Society, 312 West San Antonio Street. Featuring speakers Dr. John Huddleston, Dan Daniels, Dr. Joseph Luther and Carlos Juenke. Attendance is open to the public. Event to be held in the Historic Sanctuary. Please call for more information. Registration will begin at 8:30 am with the seminar beginning at 9 am. $25 general admission; $20 for students, teachers and members of the Historical Society. Call 830-997-2835 for more information. A full day of Blues of every kind featuring performances by Van Wilks , Malford Milligan , Paula Nelson , Texas Tornados , Nicholas David (from The Voice), Garrett LeBeau and more! The Feedlot will be open for casual fare. All ages welcome, but only the first 400 people will be allowed into the Luckenbach Dance Hall. 2 to 10 pm. $25 per person. Tickets available online. The Hill Top Café, 10661 N. US Highway 87 and Becker Vineyards invite you to join them for another fabulous vintner dinner. The four course dinner kicks off with a wine reception. Johnny and Brenda Nicholas, proprietors of Hill Top Cafe, and Nichole Bendele from Becker Vineyards will be present to meet and greet guests. Seating is limited. Please make reservations by calling or going online. 5 pm. $75++ per person. Call (830) 997-8922 for information. Now a travel writer and TV show producer, Jeff Jung is kicking off his national speaking tour back in his hometown of Fredericksburg, Texas, where he was born and raised. In a one-man-show format, Jeff will be talking about his global travels over the past 7 years at Fredericksburg Theater Company’s beautiful Steve W. Shepherd Theater. It’s great for the avid traveler as well as the armchair variety. He’ll share personal, funny travel stories and what he’s learned about life along the way. He’ll also share his travel secrets for getting around for less while having better and deeper travel experiences. There will also be a Kindle giveaway each night for ticket holders. 7:30 pm at the Steve Shephard Theater, 1668 S. US Hwy 87. General admission $29.99 per person. Buy tickets online. We’re kicking off our new FREE monthly “Indie Screening Series” in Fredericksburg in partnership with the newly renovated and reopened Fritztown Cinema with a screening of Texas-made short films selected by the Houston Film Commission. This block includes Hellion, directed by Kat Candler, who is in the process of turning Hellion into a feature-length film featuring Jonny Mars, both Hill Country Film Festival alums. Join us at 2254 S. Highway 87, at 6:30 pm! The first of a series of Living History events designed to bring the Fort to life. For more information please visit www.ftmartinscott.org. Pedernales Brewing Company, opens their tasting room ever Friday from 3 to 5 pm and Saturday from 1 to 5 pm. There are tours every hour. Shirts and t-shirts are also for sale. After a long morning of Wine Tours, top it off with a brewery tours! 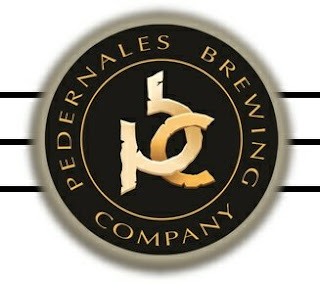 Pedernales Brewing Company is at 97 Hitchin' Post Trail just south of Fredericksburg on US Highway 87 South. Look for the flags on your left. Call 830-998-7486 for details.